There have been heated exchanges at First Minister's Questions over Heart's figures revealing the scale of abandoned 101 calls to Police Scotland. Nicola Sturgeon was quizzed on budget cuts to the force by the Scottish Liberal Democrats leader. 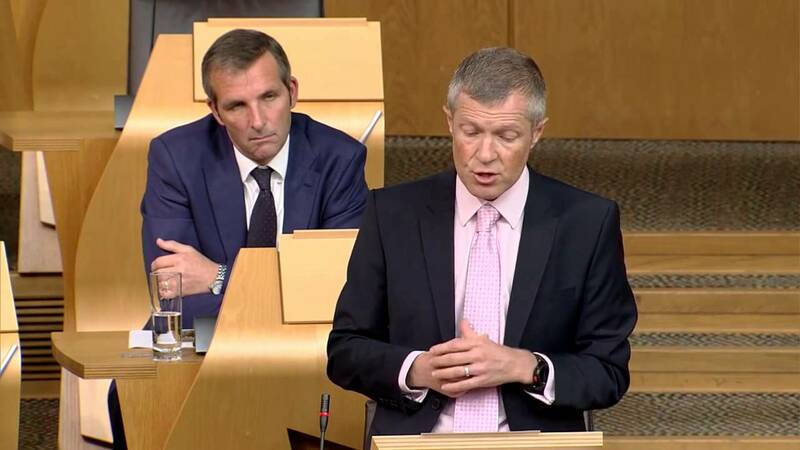 Willie Rennie posed a series of concerns during the lively debate. It follows our findings on the tens of thousands of calls to the non-emergency number becoming abandoned before being answered. We discovered it happened 77,670 times between July 2015 and July 2016. The 101 number was set up by Police Scotland in 2013 to deal with non emergencies such as a minor traffic accidents, car thefts and vandalism. Police said calls referred to as "abandoned'' are when the caller disconnects without speaking to an adviser and does not suggest that calls are being unanswered. The force treats 999 calls as ``priority'' and said staff call back to check on the caller if someone hangs up before speaking on a 999 call. The figures released to Heart showed almost 2.6 million calls were made to the 101 number in the last year. The current average wait is said to be 12 seconds but the figures show one person waited almost 16 minutes for their non-emergency call in July 2015. In the same month, Police Scotland came under fire for failing to respond to a 101 call reporting a sighting of a crashed car off the M9. The occupants, John Yuill and Lamara Bell, were found three days later and both died. Assistant Chief Constable John Hawkins told Heart: "It is misleading and inaccurate to suggest that in excess of 77,000 non-emergency calls are 'unanswered' by Police Scotland. "Calls referred to as 'abandoned' are defined as a call where the caller has disconnected without speaking to an adviser. "This is not a suggestion that calls are routinely being unanswered but rather that the caller has chosen to disconnect the call. "This could be for a number of reasons including the caller has decided to redial and select another option from the pre-recorded menu or police assistance is no longer required. "Importantly, 101 callers are instructed while waiting to terminate the call and to dial '999' if they are experiencing an emergency or the incident is escalating." Callum Steele, from the Scottish Police Federation, said: "That 78,000 people, for whatever reason, never got the service they were expecting when calling the police is simply unforgivable. "They will not care whether this was due to sufficiency of staff in call centres or control rooms or elsewhere. "It is unfortunate at best that the service response is one of move along - nothing to see when it is as plain as the nose on your face that there are significant challenges in many parts of the service."